Many people have expressed concern that Roundwood will lose its Post Office. To seek clarification on the issue the Roundwood & District Community Council contacted An Post who stated the following ‘An Post is now proceeding to advertise a contract for the provision of Post Office service in Roundwood following the resignation of the existing Postmaster. The contract will be advertised until 5pm on Wednesday 10th December 2014. Once a suitable applicant providing suitable premises is forthcoming Post Office service will continue to be available in Roundwood’. So good luck to all the applicants and hopefully the Post Office service will continue in Roundwood in the future. This entry was posted in News & Events on November 26, 2014 by roundwoodiewicklow. The Roundwood and District Community Council are delighted to announce the launch of their Roundwood Calendar 2015. The calendar came about as a result of a number of digital camera courses organised by the group with the support of the Community Education Programme of Kildare and Wicklow Education and Training Board. The community rallied to the call for photographs with the group receiving hundreds of images by email, on disc and memory sticks. The committee spend many hours on many nights choosing the photographs for inclusion, which was no mean feat. There is a fantastic array of photographs included in the calendar depicting events in Roundwood including the local Ploughing Match and the Roundwood Festival by talented photographers Darren Flynn and Pat Cahill. 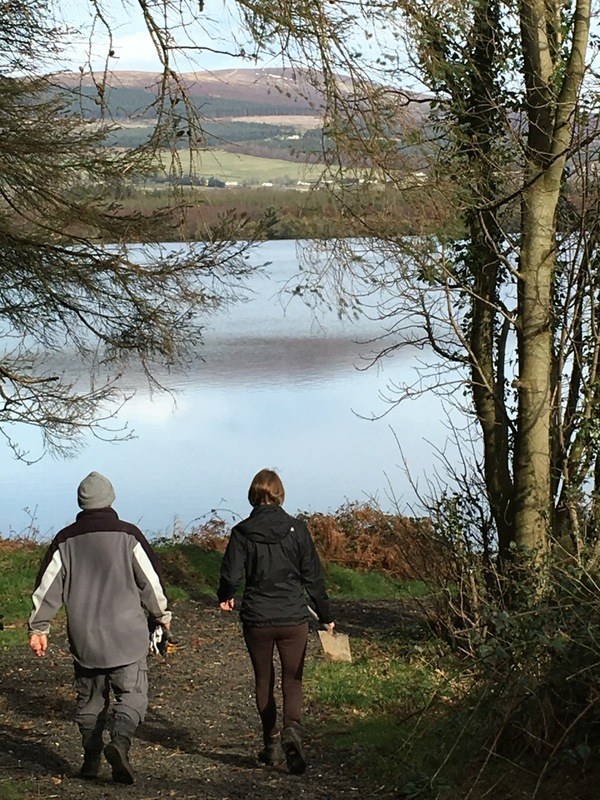 The fantastic scenery of the area is very evident as highlighted by the stunning cover photograph by Tony Brierton of the Wicklow Anglers boats on the Vartry Reservoir. The winning pictures by Hannah Fox and Ciaran O’Brien from the Roundwood Festival Children’s photography competition also feature which bodes well for the future of photography in the area. 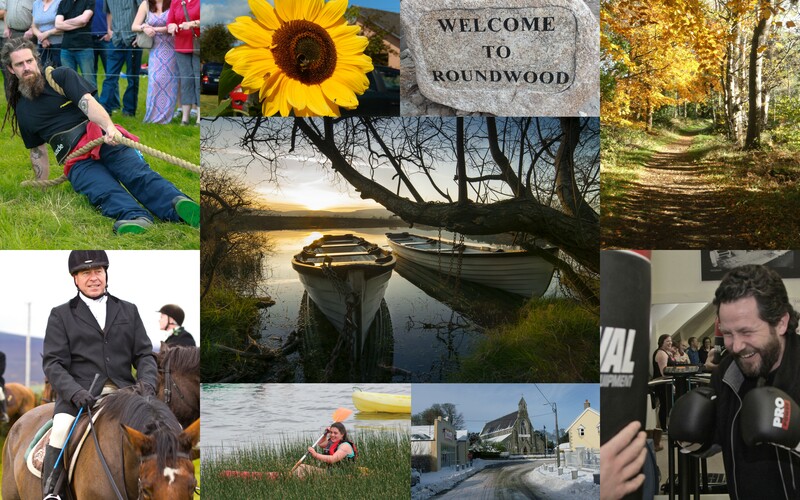 The Roundwood Calendar will make a great gift this Christmas for family and friends and especially ‘Roundwoodites’ living abroad! The calendar will be on sale at a special price of €6 at its official launch reception in Roundwood Parish Hall and Centre on the 29th of November at 7:30pm. Thereafter it will be on sale in local outlets and at the Roundwood and Moneystown Parish Sale of Work for €7. Lights refreshment will be served, admission free and all are welcome to attend. This entry was posted in News & Events on November 24, 2014 by roundwoodiewicklow. Roundwood Variety Group will hold a Super Duper Fun Disco in Roundwood Parish Centre on Friday 28th November from 7 – 9pm. All primary school children are invited to come along for a great night of fun. Admission €5 which includes a drink and a bar. Tuck shop on the night. Lots of spot prizes! Our Parish Christmas Sale of Work will take place on Sunday the 7th Dec, 12-4pm in the GAA Complex so get your Christmas Jumper & Santa Hat ready it will be a great day out with something for everyone including Wheel of Fortune, Bottle Stall, Flowers Swags & Table Centres, Teas, Big & Small Raffles, Home Baking, 6th Class Stall, Bric a Brac, Auction, Books, Roulette, Face & Nail Painting, & Tattoo’s, Christmas Carols & much much more you will also be able to purchase the 2015 Roundwood Calendar and order or purchase your Club Gear. Giggles will be in attendance & Santa will be there to meet all the children at 1pm. Donations for all the stalls and attractions are very gratefully received on the day or can be left in with Maureen in the Parish Centre during 9.30am-12noon daily for further queries contact Caroline Sillery at 086 171 4973. The Tom Mulligan Branch of the Labour Party Kilmacanogue are holding their annual Christmas social evening in Plucks (Formally the Glencormac Inn) Kilmacanogue on Saturday 6th December 2014 from 9pm. Gary Taaffe will provide the music and entertainment. As usual finger food will be provided. This is a very special evening for the branch as they are celebrating the 60th anniversary since the Labour Party Branch was formed. All are welcome to come along and enjoy the evening. Monday 17th November saw Ger Lenihan and Paddy O Brien play their cards right for North/South Molly Byrne and Rachel Judd were 2nd, Margaret Byrne and Brid Clancy were 3rd and Pauric Gleeson and Maura Gaskin were 4th. East/West victors were Bridie Nolan and Phil Power, 2nd Monica Brady and Catherine Halligan, 3rd Clare Sally and Margaret Byrne and 4th Mary Pierce and Pamela Byrne. In first place by 2 points for North/South on Friday 21st November were Seamus Kennedy and Gaye McGettigan, 2nd Noeleen Redmond and Margaret Bolger and 3rd Monica Brady and June Digby. East/West winners were Maria Magee and Jim McNamara, 2nd Ger Lenihan and Paddy O Brien and 3rd Liz Belton and Teresa Leahy.